Without a doubt, the most popular person on this blog in 2015 was Carole Dore. Louise Berlay, RHJ and Genevieve Behrend were all popular, but Carole beat them all out. 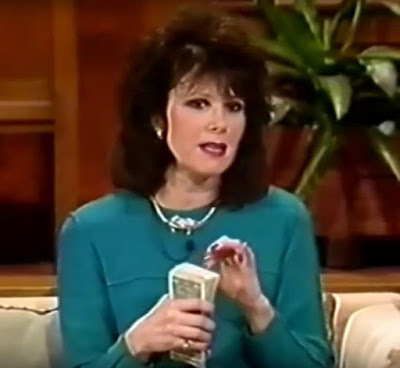 Her "mantra", "I am at one with a tremendous amount of money", her "The Emergency Handbook For Getting Money FAST!" and her "smelling money to manifest" were all very popular. As I said in the article I wrote, it really didn't do a thing for me. I tried it for 0ver 60 days and nothing happened at all. But I am not everyone so maybe someone out there has had some success with it. It really seemed to anger some people that I said that it didn't work for me. I have always said that if I found anything that did work, I would share it with everyone for free. So far....that has not happened. So feel free to try her techniques. And I DO wish you luck. I really do hope that it works for someone.